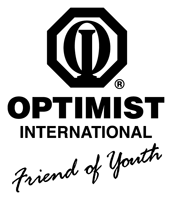 The Clarkston Junior High School Optimist Club has over 20 members. They meet every Wednesday after school. They also have a five minute information meeting at lunch on Tuesdays. Sarah Harker is the enthusiastic President of the club creating fun and effective meetings.The two large projects this year are the Children’s Book Drie which has provided over 1,500 children’s book donated to children in need in Flint through the F.I.S.H. organization. The Junior High Optimist Club held a dance and raised over $600 to be given to Oakland County Haven and another charity to be determined. The club maintains Sarah’s Closet at the Junior High School for students who are in need of clothing. The students are currently raising funds for Lighthouse North through “Flamingo Flocking” Around the community, you may see pink flamingoes in someone’s yard, thanks to the young Optimist students working to make their community a great place for all to live.